Did you know that Burlington Pubic Schools has a weekly Twitter Paper that is published each Monday highlighting the Tweets on our #bhschat hashtag from the previous week? So whether you use Twitter or not you can stay up to speed on the top tweets and blog posts that appear on our hashtag. Click on the tabs on the right hand side of the paper to check out the top posts in each category. I have also shared a few of my favorite excerpts from the blog posts highlighted in this week’s paper below. The Massachusetts Teachers Association highlighted the great efforts of our Burlington teachers in the most recent edition of the MTA Today. You can check out the entire article here. The article on Burlington begins on page six. Paper.li is a great resource to create a newspaper highlighting the feed from a Twitter hashtag. We have our own weekly edition from our Burlington Public Schools hashtag #BPSChat which you can check out below. If you would like to receive a weekly update by email, just click on the subscribe button on the top right hand side of the paper. 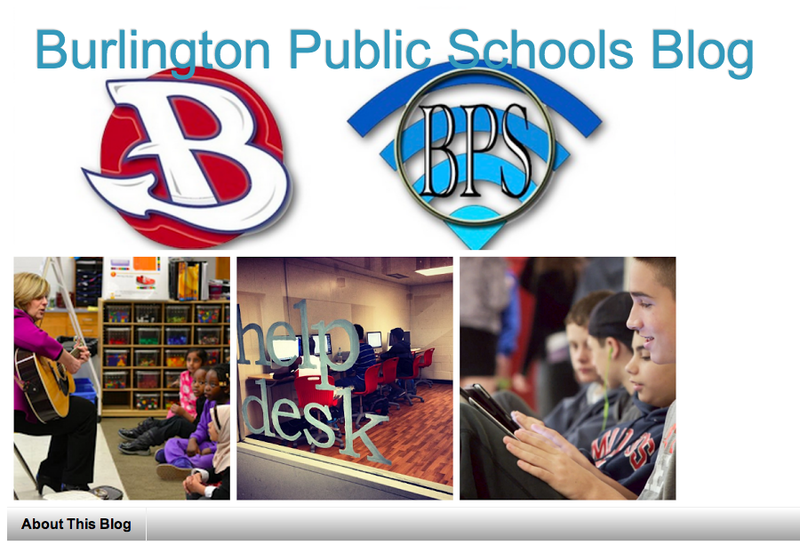 We are excited to announce the creation of our district’s newest blog – Burlington Public Schools Blog. The word “Blog” in the title is actually used as a verb to represent all of the active bloggers throughout our school district. This space will be utilized to share a blog post daily from one of our staff or student bloggers. Our new district Instagram account – We will routinely post photos from around the district here. Our new district Twitter Account – @BurlMASchools – While many of our staff and administrators have been on Twitter for quite some time, we have not had a general account for the district aside from @BPSAlerts, which we reserve for emergencies, and @BPSEdtech, the Twitter account of our EdTech Team. Finally, we don’t want to forget our District’s Facebook Page which is another great way to stay on top of the happenings in our school district. Let us know if there are any other social media resources that you would like to see Burlington Public Schools access to share information! Thanks to BPS Director of Technology Integration Dennis Villano for the great overview of our Middle School 1:1 program that will begin next month! Marshall Simonds Middle School will soon be Burlington’s second full 1:1 school. The BPS EdTech and IT Teams have been preparing for the deployment to students. Here are some important details about the initiative. All students in grades 6-8 will be assigned iPads. Students will be using iPad 2s. Students will not be taking iPads home at this time. The MSMS iPads will be fully managed by Burlington Public Schools. The iPads have been set up using Apple’s Configurator program. Students will not be able to install or delete apps. Students will also not have access to the iMessage app. Safari will remain as the web browser for all devices since the iPads are staying at school. Burlington will be providing cases for all student iPads. Parents and families will not be asked to purchase insurance for student iPads. Marshall Simonds teachers have been working on developing digital content and materials. Teachers have also selected curriculum based apps to be installed on student iPads. Although student iPads will have just over 40 apps installed during the initial deployment, we have always believed that any 1:1 program should not focus on just the device and apps. iPads and 1:1 environments provide students with constant access to powerful digital learning tools. These tools can be used to help create engaging content and lessons. Burlington continues to focus as much as possible on what we call Foundational Apps. We are also committed to having students and teachers use cloud based apps and services. Foundational Apps provide students and teachers with powerful digital content creation, distribution, and storage. Students can use these apps to complete assignments and return completed work to teachers. While not all classrooms will be paperless, the workflow provided by our Foundational Apps can enable teachers to use digital forms of content as much as possible. These apps serve as the basic workflow for students and can be used in any curriculum area. 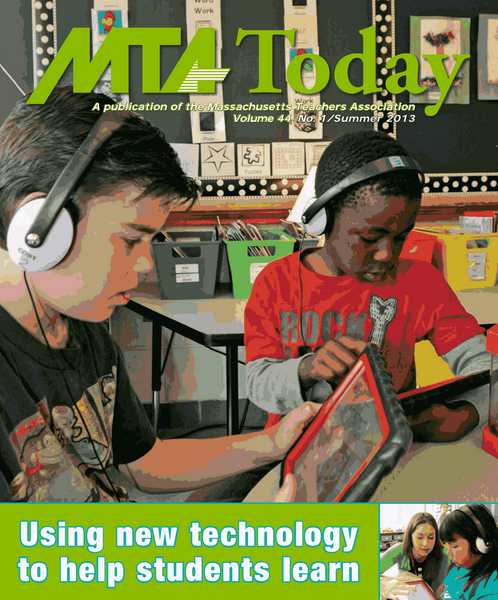 Please see the BPS EdTech Apps blog for a complete listing of MSMS apps. Click on the Middle School category tab to see all the apps being installed on MSMS iPads. One of the best aspects of the Burlington High School 1:1 program has been how BHS students have take an active role in the learning process. Students have been involved in every step of the program from initial planning to daily classroom best practices. The 1:1 program has given students many opportunities for leadership in the program. A great example of this is the BHS Student HelpDesk. Marshall Simonds will also have a similar program to the BHS Student HelpDesk. Each homeroom will have two Student Tech Leaders who will assist with the iPads and iPad Cart Management. Students will also the opportunity to be part of a new MSMS Student Tech Crew that meets during activity block periods. The MSMS iPad program will have the added benefit of some great new classroom technology. Marshall Simonds has recently completed a major renovation as part of a Massachusetts School Building Authority project. Every MSMS classroom has been outfitted with new wall mounted LCD projectors and AppleTVs during this project. Teachers also have access to the Reflector app for iPad mirroring. AppleTVs and Reflector provide MSMS with an outstanding technology infrastructure driven by a student centered classroom. All MSMS students will receive their iPads during introduction sessions. These sessions will be similar to the iPad Driver’s Ed sessions that we have completed during the deployment of all BHS iPads. Students will learn about responsibility, care, foundational apps, workflow, and expectations. Please continue to follow this BPS EdTech blog and the Marshall Simonds Middle School blog for more details and information about the 1:1 iPad program. 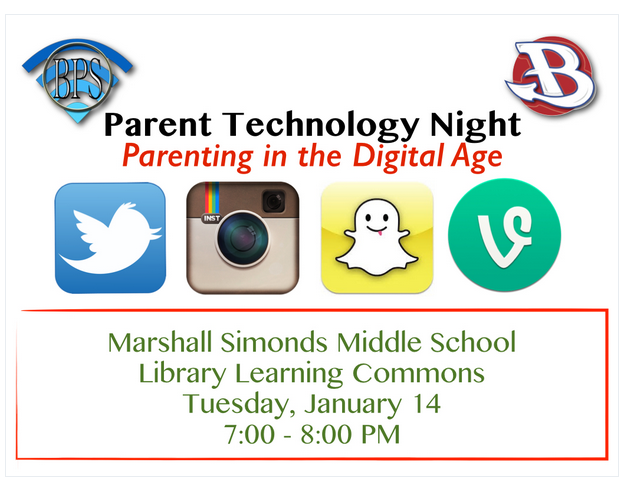 We will also have posts about upcoming Parent Technology Events and family learning opportunities.